We're so pleased to share another of the interviews we did at the SCWBI in Los Angeles over the summer-- this time we're featuring the lovely Brodi Ashton! 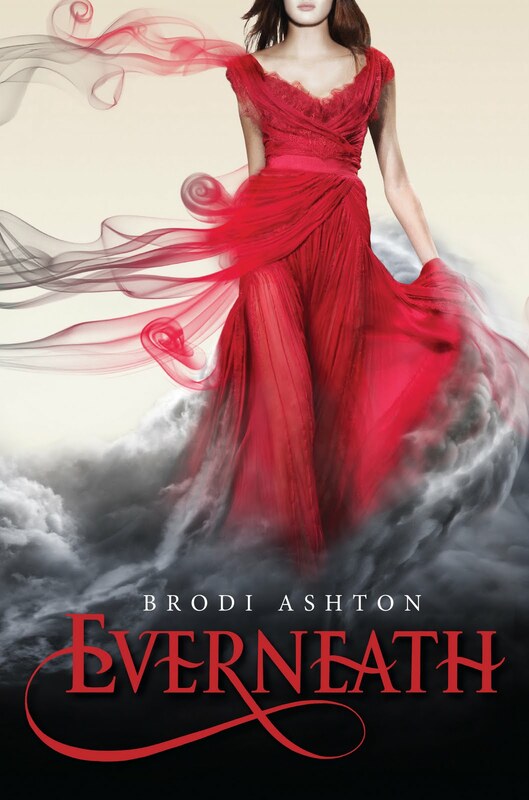 Brodi's debut novel, Everneath, dazzled readers when it hit bookshelves in January of this year. Get your e-readers ready for a companion e-novella, Neverfall, available on December 26, and look for the second book in the series, Everbound, in bookstores everywhere in January 2013. Brodi is a pure delight. We had so much fun chatting with her about the true-life inspiration behind the series, "team" factions in the Everneath fandom (Team Jack or Team Cole? ), and a few hints about what readers can expect from Everbound. Enjoy! Find out more about Brodi Ashton at her blog, and visit her publisher, HarperTeen, too. And don't forget - you have until Thursday to tell us why you should be a Princess or what your favorite Karen Cushman book is! If you let us know, you're entered to win a copy of Jessica Day George's Princess of the Silver Woods & a signed copy of Catherine Called Birdy. I love Persephone stories and Everneath was a great book, I flew through it. I do find it interesting though that authors have difficulty describing the worlds that they want to create! I cannot wait to read Everbound to see where Brodi has gone with the story!